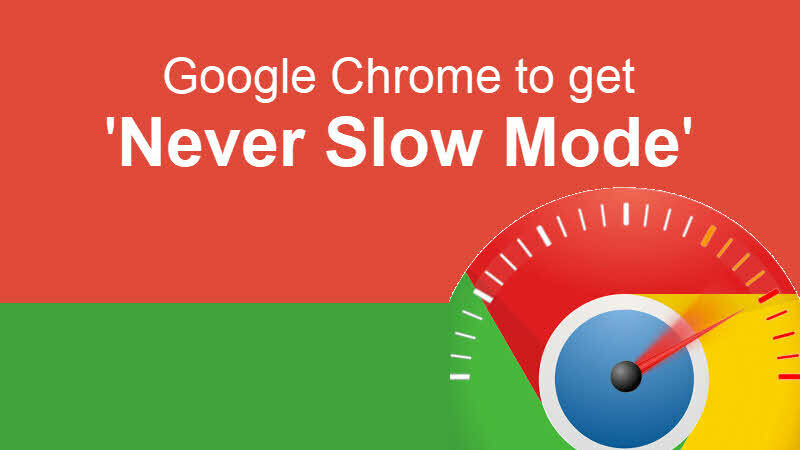 Google is working on a new feature called Never Slow Mode, which is expected to be release soon in Google Chrome browser. This feature will let the heavy weight web pages to load faster by trimming down the resources. Alex Russel, who is heading this feature development, has given an initial outline about this feature's working process. In recent days, Google is working on various new features to improve the Chrome user experience. Recently they have introduced Password Checkup extension for Google Chrome that automatically warns users in case your password is compromised in a data breach and will automatically reset the password of your Google account if exposed in a third party data breach. And now, the company is said to be working on a new feature called Never Slow Mode that will improve the Google Chrome browsing experience. The Never Slow Mode of the Chrome browser is expected to reduce the memory usages by restricting the resource loading and processing that exceeds a specific size. This may also break some contents, the company warns on context of this. Though this feature is not yet released to public, but a commit has been spotted to the Chromium project which reads "an experimental browsing mode that restricts resource loading and runtime processing to deliver a consistently fast experience". There are no information currently available about the release date of Never Slow Mode feature. The company is going to thoroughly test this before bringing it to the main channel as this may break many sites having huge content/resources being referenced in a page. If you have come this far, it means that you liked what you are reading (Google Chrome may get a 'Never Slow Mode' feature to provide a faster page loading experience to users).